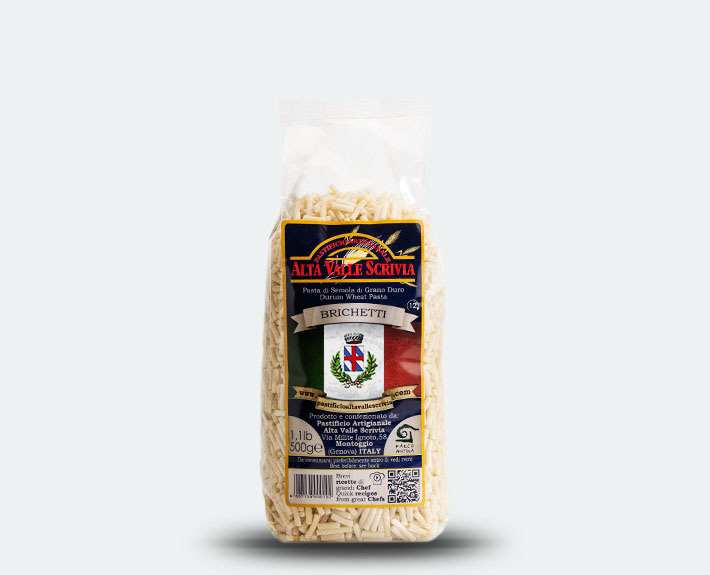 In the Genoese dialect, “Brichetti” means match sticks, which is what this soup pasta resembles. Cylindrical in shape like a piece of spaghetti but cut into lengths of about 2 cm Brichetti have become the most famous accompaniment to Genoese minestrone soup. This pasta shape is inextricably linked to the famous Ligurian vegetable soup- Minestrone. A dish which represents the best of the Ligurian food culture. So much more than just a soup, it is a dish which has been a staple on the tables of generations of local workers. The base of the soup is made with seasonal vegetables and beans. Fresh pasta like Taglierini are added or often dried pasta like Ditalini, Scuccusùn, or the famous Brichetti – literally ‘little matchsticks’ and the soup is left simmer for a period of hours. This thick soup is delicious eaten straightaway or re-heated the following day. Minestrone is one of those traditional dishes in which there is hot debate on how it should be made and eaten. The consistency is one of most important factors for the locals as it is said that a ‘real Minestrone’ should be able to hold a spoon upright in the bowl if it is the right thickness! 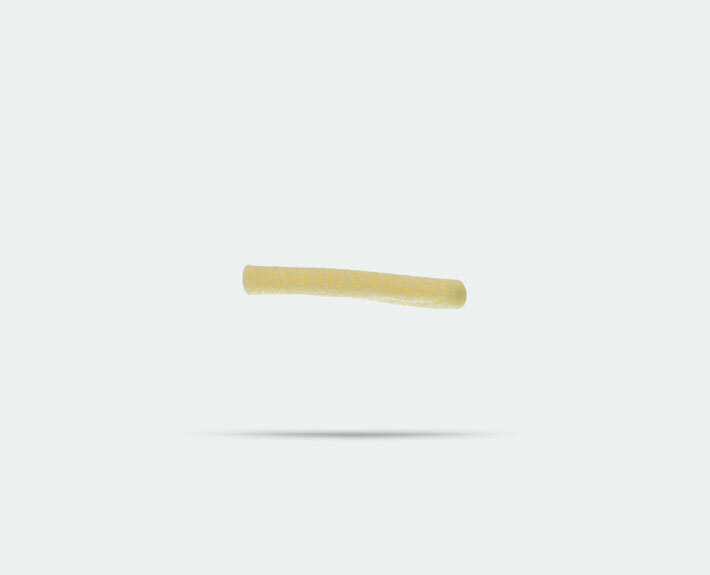 Our Brichetti are short lengths of thick spaghetti, made especially for this use and are as thick as the matchsticks from which they take their name. Their ability to maintain their ‘al dente’ consistency in such a long cooking time have made them a favourite choice in the preparation of this much-loved classic, especially as it often made in large quantities, then eaten the following day.